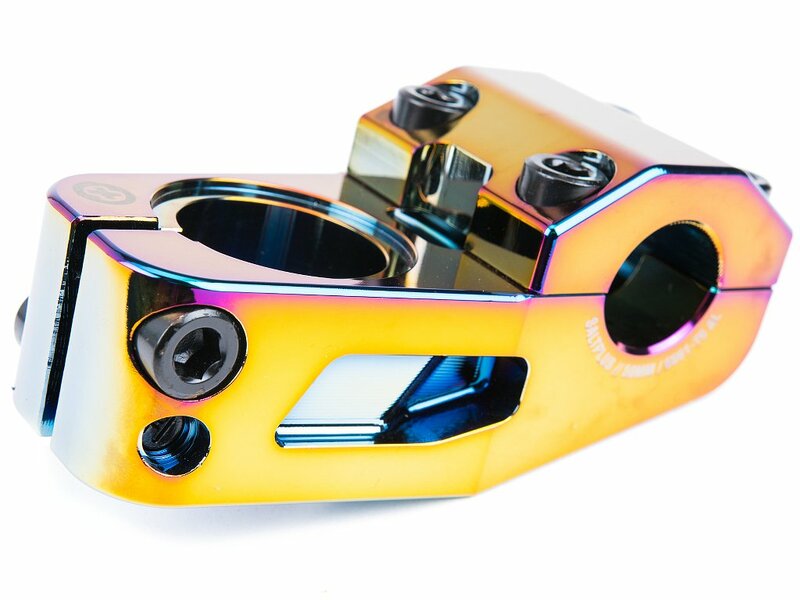 The SaltPlus "Manta" Topload Stem - Oilslick is made of high quality CNC machined 6061 aluminium. Cutouts in the interior and exterior housing and on the top provide weight savings and a clean finish for the top bolt head. 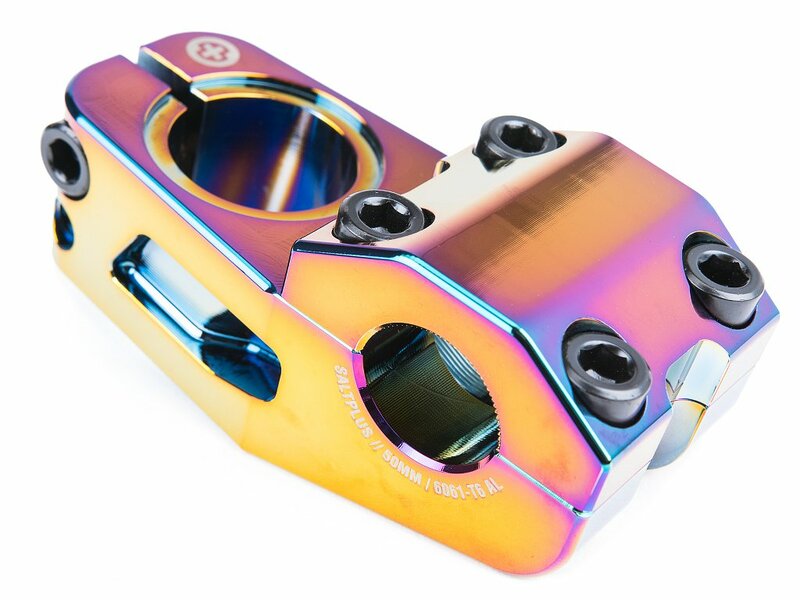 The use of massive allen bolts provide on this SaltPlus "Manta" Topload Stem - Oilslick best clamping properties and high stability. The slightly wider overall design also provides a secure fit for high and wide handlebars. 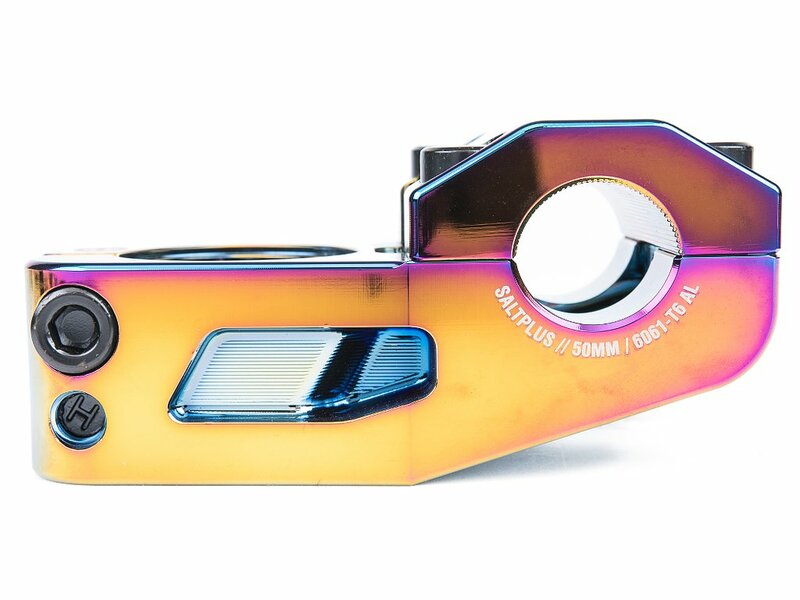 This toploader stem allows you due to its construction riding a particularly high handlebar setup.